Running stadiums and event venues is no easy task on non-event days. Add in the pressure and challenge of keeping 20,000, 50,000 or even 100,000 fans safe and you’re got a real challenge on your hands. • Maintaining critical equipment and systems, ensuring all work and inspections were performed. • Scheduling all staff and contactors needed for game day – and knowing that they are qualified for the posts they are given. 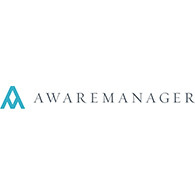 With AwareManager, you can run all aspects of facility management, staff/resource scheduling, incident tracking and end-to-end event management in one comprehensive platform. In addition, you get a real-time dashboard – built for mobile – to let you manage an event without being tethered to the control room. Built-in reports will help you assess critical aspects of match-day operations – incident response times, payroll costs, etc.